Born abroad, Made in America! 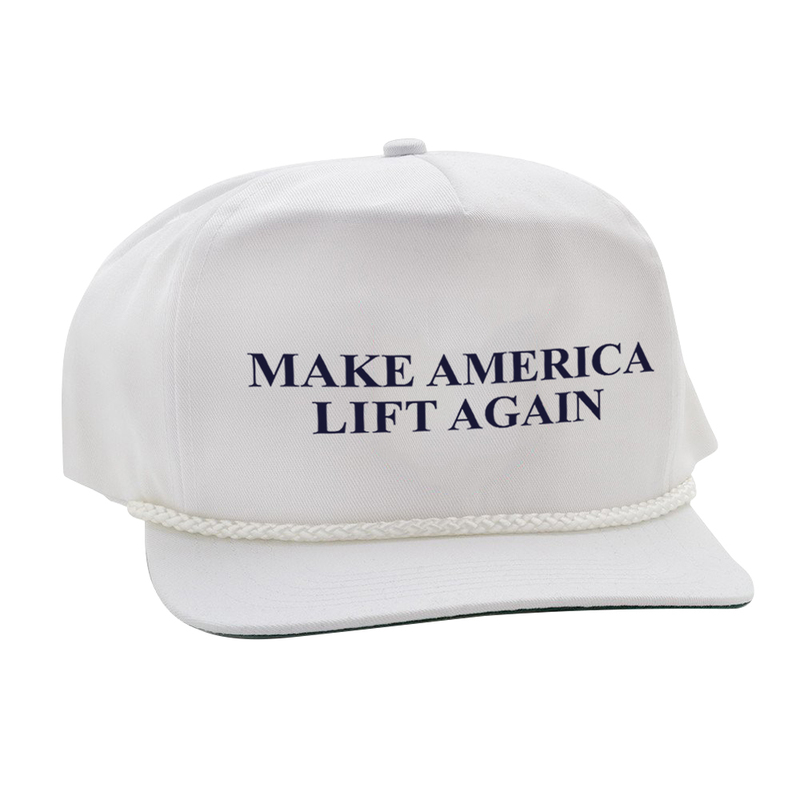 For a limited time only, if you purchase a Crewneck Sweatshirt or Hoodie, we will include a "Make America Lift Again" HAT. Portion of proceeds will be donated to the California Fire Foundation. 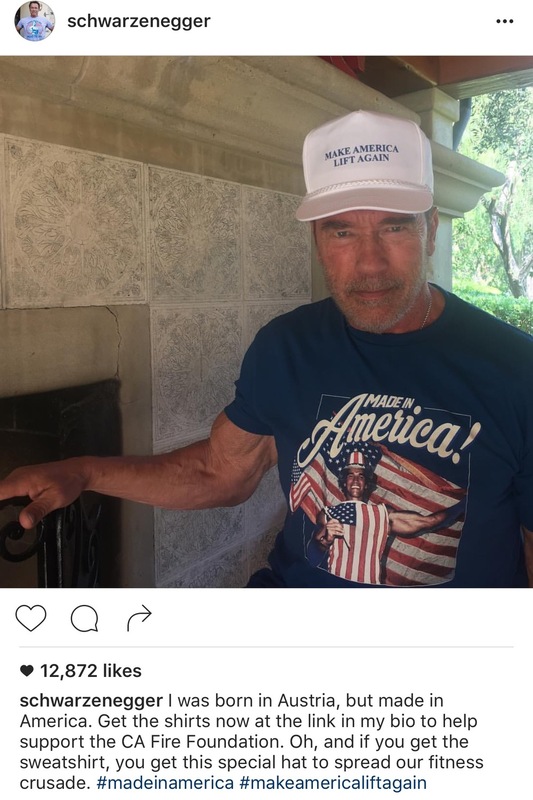 On the 33rd anniversary of his U.S. citizenship Arnold Schwarzenegger launched his second campaign on Represent, Made In America. He may have been born abroad but that hasn't stopped this citizen from making the most of the American dream. "As long as I live I will never forget that day [U.S. citizenship ceremony] when I raised my hand and took the oath of citizenship. Do you know how proud I was? I was so proud that I walked around with an American flag around my shoulders all day long." 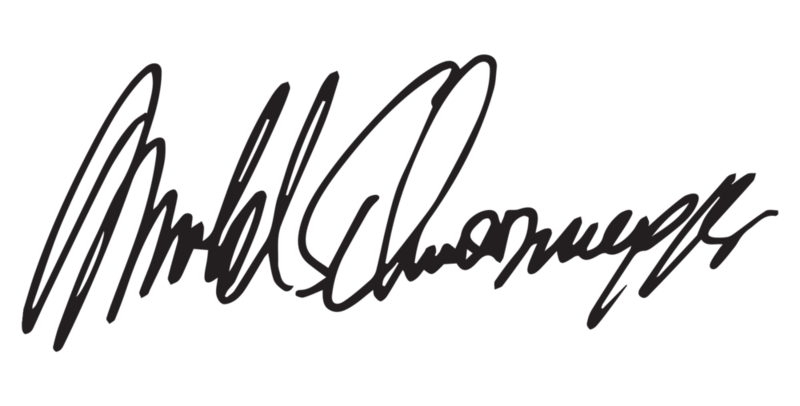 International shipping is available for all of Arnold's fans who have Made It In America or are hoping they'll still get the chance. A minimum of $1.00 from every shirt sold for this campaign will benefit the California Fire Foundation.